Divorced parents often have questions about who gets to choose which school their children will attend, what rights they have concerning school issues, and more. In most cases, educational decisions are to be mutually agreed on if the parents share joint legal custody. In situations where one parent has sole legal custody, he or she can make decisions about school issues without consulting the other parent. Generally, where a child will attend school is determined by where the residential parent lives. In cases where the parents have joint physical custody, you can read through this discussion about school decisions and shared custody. Can I decide on the school district if I'm the custodial parent? Will my son be able to attend an accredited online school? How is it decided which school the child will attend? Will it affect future school decisions if she goes to pre-K in my ex's district? What if we can't agree on where our son will go to school? How do we change school districts if both of us have moved? Can I move if my ex doesn't even live in the current school district? Am I allowed to move to a different school district nearby? 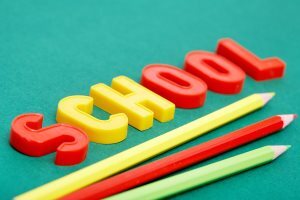 When is the best time to move in relation to school? Can he pick the kids up from school without my permission? Does the school have to tell me when my ex comes to the school? What if the school denies me a copy of the report cards? Is a teacher required to give copies of school work to both parents? He won't share school information or let me attend doctor's visits. Do I have to list him as an emergency contact if I have sole custody? What if my ex's girlfriend is listed as the emergency contact at school? Do we have to meet with the guidance counselor together? Can custody be changed if school grades drop dramatically? What if he's refusing to take our son to kindergarten? Jackie's Question: My daughter and I live 25 minutes away from my ex and I am the custodial parent. Can I choose which kindergarten to enroll my daughter, especially since it's close to my home? Brette's Answer: Technically, if you have joint legal custody with your ex, you need to reach a decision about which school she will attend together. If you truly cannot agree, you could try mediation where you may be able to work out a solution you both agree with. If you can't come to an agreement, you'll have to return to court to get this worked out. Michelle's Question: I have exclusive rights on choosing what school my child attends. However I must confer with him. My question is can my son attend a private Christian academy that is online. I would pay all the tuition myself. But I don’t want to get in trouble since the divorce papers don’t show clearly the legality of accredited online private school. Brette's Answer: If the school fulfills your state's requirements for education then it would seem you are within your rights to make that selection. If you are unsure, talk to your lawyer. What determines where the child will go to school? Cathy's Question: My husband has been given emergency temporary custody of his daughter. Can he put her back in the school she is familiar with or does he have to keep her in the school his ex-wife put her in? In the temporary custody order it doesn't address this. Her mother says if he does so it will be a contempt charge. Brette's Answer: Generally you do not have a choice - you can only place the child in the district you live in, unless you pay for private school. If there isn't a court order regarding this, it seems reasonable to place the child in your home district. She can challenge this and the judge can order otherwise. Amy's Question: We share custody of our 4yr old daughter and live in different states. We came up with a plan to have her go to pre-K with him 3 days a week and the rest of the time she will be with me. We also agreed that she would then go to kindergarten with me since my area offers the better schools. My concern is that once she is in school with him, he will attempt to change our order and refuse to allow her to go to school with me at all. Would a notarized agreement be enforceable, or would he be able to get sole custody this way? I do not want to agree to something that could jeopardize my time with her or my rights as a parent should he decide to be difficult. What should I do? Brette's Answer: If your child goes to school at your ex's location and you end up back in court, there is a strong chance the court will want to keep her in the same location for kindergarten. You should talk to an attorney before sign or do anything and understand all the implications. Teresa Asks: I've been divorced for 9 years and have a 12 year old son with my ex. This year my son is attending public middle school in my area. His father wants our son to attend the school where his wife works. This school is in neither of our areas and I don't believe changing schools is healthy. Is this something the court decides? Brette's Answer: If you can't agree, the court will decide for you. I would suggest you try to talk it out together first. How does your son feel about this? His opinion should matter a lot in your decision. Marie Asks: We have a joint custody arrangement. Our divorce decree does not state anything about what school our son is to attend. Both of us have since moved out of our son's school district, but he still goes to school there. I want to enroll him in the school district where I now live. How do I proceed if our decree states that we will be the ones to determine any future arrangements? Brette's Answer: If you agree about the school, you don't need to do anything - just enroll him. If not then I would think that the court would simply continue the same situation - if your son went to the school for your previous address, then he would go to the school for your current address. Can I relocate if my ex doesn't live in the current school district? Cindy: We have joint legal custody and share physical custody equally. My son is 14 and attends school in the district in which I live. My ex has never lived in this district and moves frequently. I need to move to a different school district for financial reasons. My son is opposed to switching school districts. Can my ex or my son force me to stay in the district? He is going from junior high to high school so this is the 'best' time to make the move. Brette: It sounds to me as though the move should not be a problem as long as your ex can still visit. There's no imperative that you stay in the same school district. Families move all the time. Your son might not be thrilled, but simply because you're divorced he doesn't get to choose where you and he will live. You're the parent and you are the one who makes these decisions. Good luck. Rebecca's Question: Will the court consider allowing a mother and her new husband to purchase a house in another county about 52 miles from the father (in a different school district)? Brette's Answer: This certainly sounds reasonable and since it would be about an hour's travel time, it shouldn't impact visitation too heavily. The only objection he might have is the change in school district. He can file a petition to prevent your move, but should that happen, it sounds as though you are in a good position. The court may or may not consider it to be a request for true relocation - it may depend on whether it is in the same jurisdiction. Your chances are good though. Karen's Question: Are there any psychological benefits to what time of year children should be relocated? For example, during the school year so they can make friends more easily or during summer break from school so they can start a new school in the fall? Brette's Answer: I think that you should evaluate your own kids and make that decision based on what works best for them. Generally it is easier to start a new school at the beginning of the school year. Is he allowed to pick the kids up from school? Karen's Question: My ex moved out of the area and has not had visitation with our daughter for over a year. Recently, he just showed up at her school and took her out of class without my knowledge. Is the school at fault if they don't call me and at least ask since he is not on the emergency card? Brette's Answer: I need more information than you've offered to be able to give you a solid answer. Without a court order giving you sole custody, your ex would not be turned away by a school. You should have listed on your child's information that he is not allowed to pick her up from school. You also need to work out a visitation plan - mediation might be a good alternative for you. Make sure you specify to the school who can and cannot pick up your child from now on. Good luck. Rebecca's Question: Can the school have my daughter’s father come to the school without telling me? He is not listed on the form as he is a detriment according to her psych. They gave him personal info including our address which was protected in court. What if the school denies me a copy of the report card? Jacqueline's Question: My abusive ex-husband was granted Sole Legal & Physical Custody after our 12 year old daughter expressed that she wanted to try living with her dad and could return to my custody if she changed her mind. He has repeatedly denied me court ordered contact with my daughter and I have hard copy evidence proving he has convinced her I'm a bad mother. Now my daughters' school has denied me a report card. What can I do? I can't afford an attorney. Brette's Answer: Check the court order. Many state that the non-custodial parent is entitled to receive school and medical information. If so, show that to the school. If not, the only way to change it is to ask for a modification of your order. You can go to family court yourself, without an attorney. If your ex has denied you court ordered visitation, he is in violation of the order. You can file a petition asking to have your visitation increased, or even ask for a change in custody since this type of behavior can be grounds for a complete change in custody. Is a teacher required to give copies of all school work to both parents? Lynn's Question: As a teacher, am I required by law to provide a copy of my student's weekly work, to both parents, who have joint custody of my student? One parent is requesting that I copy the work so they can see the work he/she completed on their "off" week. Brette's Answer: You're not legally bound by what their custody order says, but I imagine your school must have a policy about this. You should talk with your administrator. And I can't help but point out that your student can only benefit by having both parents actively involved in his schooling and I would think you as a teacher would welcome two parents who want to be involved. Christine's Question: My ex-husband is contacting his lawyer because I wrote to my son's school asking that he speak to a counselor about possible abuse by their stepmother. My ex has residential custody and won't pass information from their school onto me or let me attend doctors' visits. He's also brought up the fact that my 11 year old takes care of his sister some mornings for an hour or two, and that I was letting them watch television that wasn't appropriate for their ages (PG 13). Can he use these things against me as reasons to show that I'm a "bad mom"? Brette's Answer: If you have joint legal custody, you have the right to access school and medical information and he cannot stop you. If you believe your children have been endangered, you should consult with your lawyer and possibly contact social services. The school cannot really help you with that issue. Some states have set ages when children are acceptably alone - check with your lawyer on this. Sally's Question: I have sole legal and sole physical custody and our son who has special needs. Am I required to list his dad as an emergency contact? His father derails all the IEP and 504 meetings, and causes problems at medical appointments too. What other things am I required to do with schools and medical offices? Brette's Answer: If you have sole physical and legal custody and your order does not state he is to have access to school meetings, records, you don't have to include him in those. You do not need to list him as a contact if he has no custody rights. Talk with your attorney to better understand exactly what your order says. My ex's girlfriend is listed as the emergency contact at school? Sharon's Question: My ex-husband named his girlfriend as "parent/guardian" on school forms. We have 50/50 custody and stated via email that he "will notify me if an emergency arises". Our papers do not say that I cannot pickup from school or that I need his consent. We have a very contentious relationship. Please help. Brette's Answer: You can notify the school you are a parent and should be listed on the forms. This should take care of the problem. You may need to show them your custody order. You may have to go back to court to have the order clarified if the school will not accept your current one. Michelle's Question: In my divorce decree it states that both parents have to consent to educational decisions. Does this mean that both parents need to be present in a meeting specifically with the kid's guidance counselor? I've tried the together meetings and it did not turn out well since we do not have a speaking relationship. Brette's Answer: Consent means agreeing to important decisions, not going to the same meetings. Pam's Question: My ex and I agreed to let my daughter stay with him in hopes that she will do better in High School. I've monitored her grades and she's not doing well at all. He's very unreasonable and I feel that my only option is to go and pull her out of school and force her back home. How would the court look at this situation and what are my options? What if he refuses to take our son to kindergarten? Brittany's Question: My ex is all-around irresponsible. I have tried to overlook what I cannot control and differences in parenting (he lets our son stay up late, do whatever he wants, no discipline). But now he is refusing to take our son to Kindergarten. It is a private school that I pay all of the tuition for. Can I file for sole custody? Brette's Answer: That sounds like a situation a judge would be concerned about (although in many states kindergarten is actually optional and not legally required).